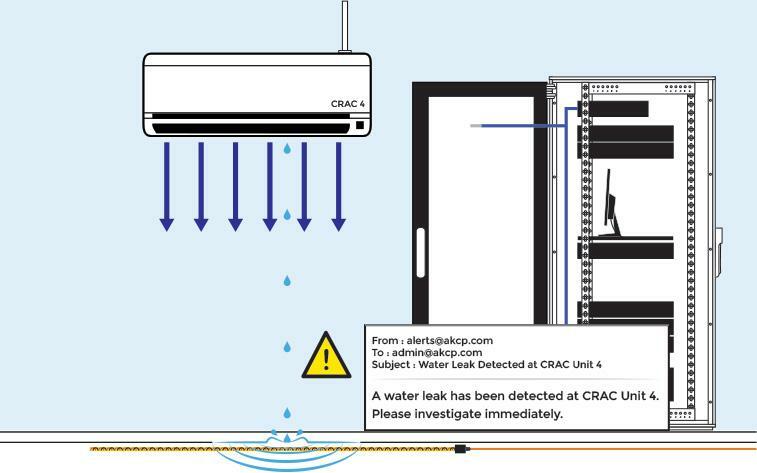 Single & Multi-point Water Leak Detection for CRAC Units. Sensor Alerts and Notifications can be sent when water has been detected. If for some reason a cable becomes dislodged or damaged, an error status will alert server room maintained personnel to the fault. Monitor air conditioner water leaks in server rooms. Water leaks can lead to system failures and unwanted downtime. Use sensor notifications to detect water leaks in small, medium or large areas. Combine with temperature, air flow and dry contact status monitoring to collect real time computer room air conditioner CRAC status. AKCP manufacture a range of water leak detection sensors for use in computer rooms, server rooms and large scale data centers. AKCP sensors can be placed on a number of surfaces and mounted in raised floor air conditioning ducts. For self-contained rack air conditioning units, rope detection sensors are an invaluable asset in protecting against localized water leaks. There are three types of water detection sensor provided by AKCP. Tabbed screw holes for simple mounting on any surface. Dual sequence LED for sensor warnings. RJ45 Plug and Play connectivity. 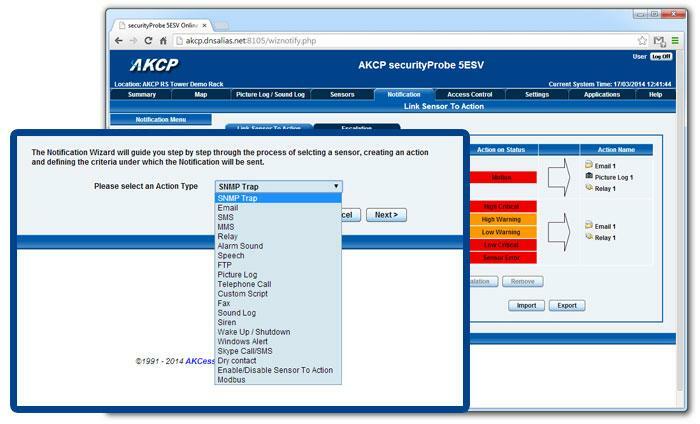 AKCP provide a wide range of notifications, not limited to email, snmptraps, automated telephone calls and sms messages (when using AKCP’s optional USB or Internal 3G Modems). Additional automation can be performed such as shutting down one CRAC unit and stabilizing server room temperatures with another CRAC system until maintenance personnel can resolve the water leak. Add siren strobe alarms to draw immediate attention to water detected within mission critical areas of a data center. Web enabled user interface for simple sensor configuration. Export configurations and distribute to a large number of sensorProbe or securityProbe systems. A wide variety of notification actions can be created to automate corrective action on specific sensor events. The spotWater Sensor is an advanced microprocessor based designed capable of detecting distilled water. Standard water detectors are unable to detect distilled water and water with impurities due to them using a resistance type circuit. The spotWater sensor is encased in epoxy giving it a waterproof finish. It is able to withstand being submerged in water for prolonged periods. SNMP OID’s are included for monitoring across a network. The ropeWater Sensor protects essential equipment from potentially harmful water damage. 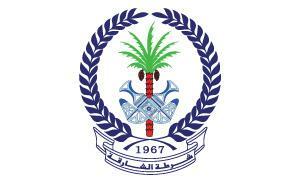 It forms an integral part of your disaster prevention system. Ideal for use in basements, under false floors and ceiling spaces, the ropeWater Sensor covers a large area and give a single point sensor alarm of water leaks or flooding. 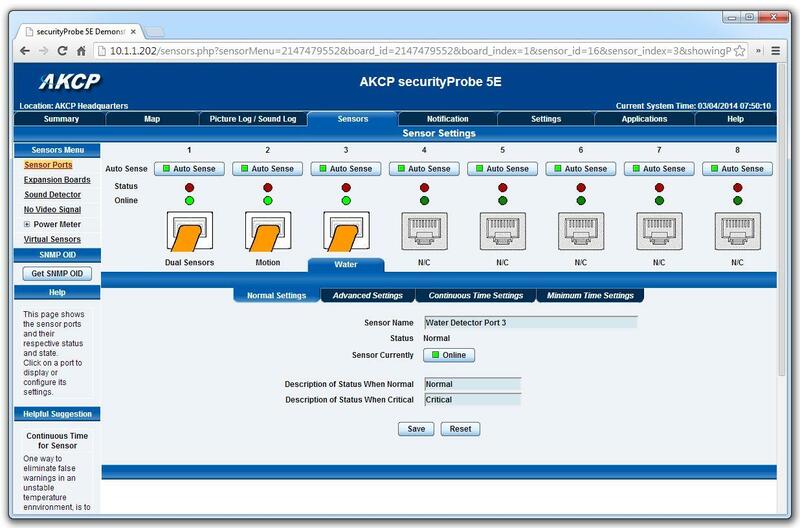 https://www.akcp.com/solutions/crac-water-leak-detection-monitoring/SNMP OID’s are included for monitoring via an network management software. The locateWater Sensor gives a precise location of a water leak so that maintenance personnel can respond promptly to protect server room assets from water damage. It is ideal for use in hard to reach areas of a data center, such as raised floor and false ceilings. This sensor comes fully assembled and includes the rope portion that is the water sensing cable, the non-sensing cable (from the rope to the sensing module) and the main sensing module. AKCP Water Sensors integrate with NMS Software via SNMP. Copyright 2018 | AKCP | All Rights Reserved.